Being more confident in the water is what every diver desires and the PADI Rescue Diver Course will help you get there. It teaches a diver how to deal with many situations that could arise while diving or even on the surface, from towing a tired diver to surfacing an unresponsive diver. During the course, you learn how to spot potential problems and quickly deal with them before they become big issues. 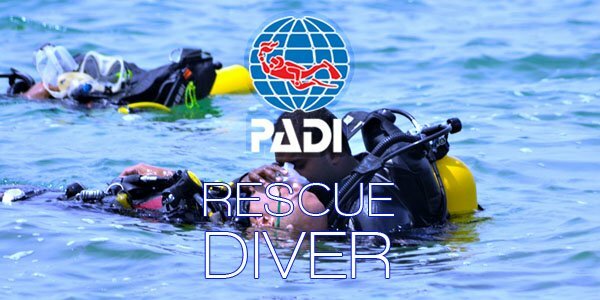 Your academic work is done independently using you PADI Rescue Diver manual which prepares you for your final exam. The Rescue Diver course involves confined water and open water sessions before a final scenario practice. For many, earning a PADI Rescue Diver certification is the start of becoming a PADI Pro. *Emergency First Response Primary and Secondary Care (CPR and First Aid) training within the past 24 months required.